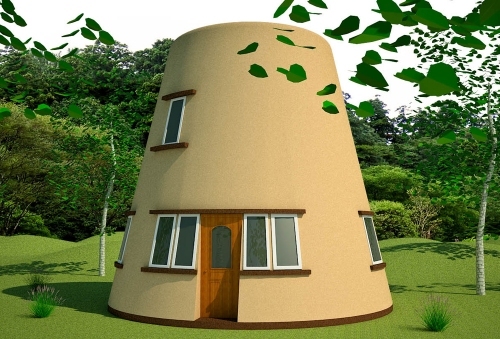 This intriguing tower house slopes from 21 feet interior diameter at ground level to 13 feet diameter at the upper deck. The observation deck has a covered hatch, and room enough for a table with 4 chairs and a lounge chair. I saw where you said you were building a bigger one of these. I’d like this one but bigger. Did you ever do the Fortified Tower House that was bigger? Or can you scale this to start at 30 feet wide and work your way up? You can scale it up and even make your own design. However, it’s always good to start small to learn the basics. 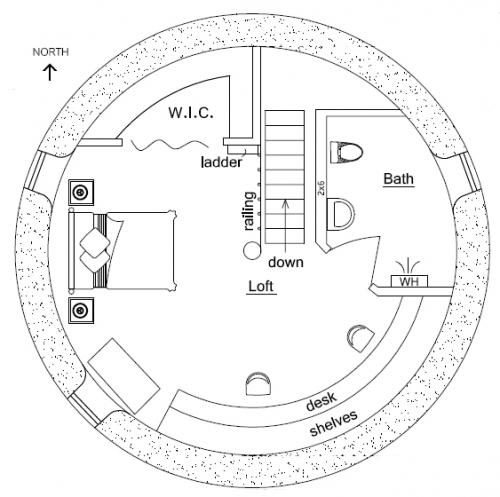 I’m looking into building a house meeting this design, my only question is what kind of support is necessary to build a second floor? 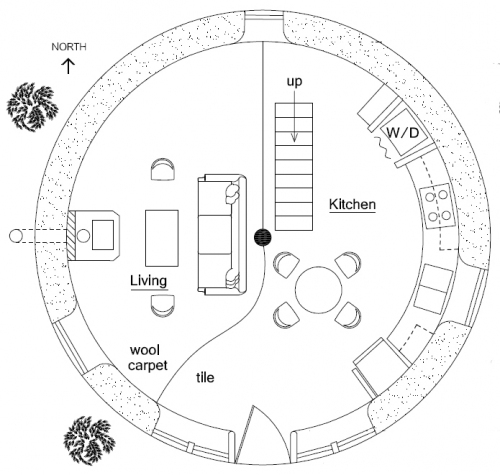 Also can the walls on the bottom floor be adjusted and or removed to leave one mostly open room? Or would this compromise the structural integrity? 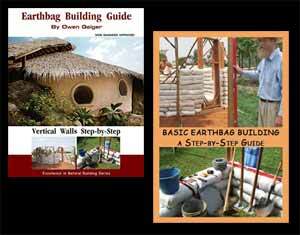 The earthbags and center pole provide the support. Nothing else is needed unless you have codes. Codes typically require a bunch of steel and concrete, etc. that skyrockets the cost. There are no walls on the first floor. The line that may be confusing you is showing tile versus carpet or tile versus wood flooring.